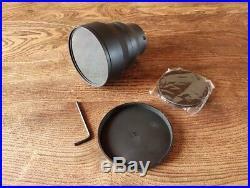 This sale is for the "Lens / Adapter Conversion Kit Only" it Does Not include any scope! The Optic Lens IR Plus Conversion. Magnification & F its the following Pulsar Scope models. N550, N750, N770, N770A, N870. 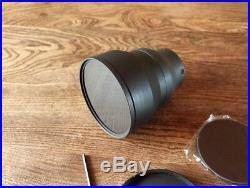 Special Lens: High Quality 80mm IR Japanese Optic Lens Kit with Built-in Filter, The Filter. Cuts out low wave light pollution & scope blindness improving the focus & picture quality, etc. See attached photos / pictures for the difference it makes, etc... The High Quality Optic Lens gives you a clearer, sharper picture with no light loss plus increasing the scopes magnification on the N550 scope this increases the Magnification from 4.5x to 9x. Excellent for Hunting/Spotting Small targets & Long Distance shooting, Rats, Mice, Rabbits/Bunny's, Pigeons, etc.... Focus range with the kit fitted = from about 8 to 10 meters to infinity on 99% of scopes. Easy fitting = The Adapter unit just pushes straight in to the front of your Pulsar scope without any modifications at all & you only need to gently tighten the 4x. Key grub screws to make it more secure recommended on. Fire, then just screw the lens in to place & its ready to use, Once fitted the adapter can be left in place for normal use, etc. See the picture views above, note: pictures are genuine views through a scope no fake like others! Kit Contents: 1x High Quality 80mm IR Japan Optic Lens 1x Pulsar Scope Adapter 1x Front Lens Cover 1x Rear Lens Cover 1x Front Adapter Cover 1x Allen Key. The item "Pulsar Night Vision Rifle Scope = Special IR Plus Lens Doubler Conversion Kit" is in sale since Saturday, August 25, 2018. This item is in the category "Sporting Goods\Hunting\Night Vision". 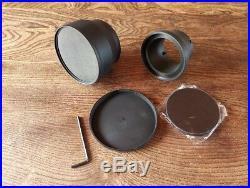 The seller is "wtv-jp" and is located in Kings Lynn, Norfolk.